For information on partnering with our Capital Campaign, please visit our Capital Campaign page. The Sugar Hill United Methodist Church is one of the two founding churches for the North Gwinnett Co-Op. Geraldine Cates, a Sugar Hill UMC member, is one of the co-founders of the North Gwinnett Co-Op. 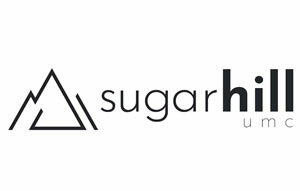 Sugar Hill UMC has been instrumental in many supportive programs throughout the years; however, “It’s A Wonderful Night” is their biggest effort. “It’s A Wonderful Night”, designed for co-op families and people in the community, provides entertainment, crafts, gifts, family photos, a delicious catered meal and pictures with Santa Claus. This year’s event was held on Sunday, December 9th, with 350 volunteers helping to host 616 deserving community members. Church members spend hours of planning to ensure the event is a success. “It’s a Wonderful Night” gives families the opportunity to enjoy an evening out as a family at no cost. Children have the opportunity to make crafts and pick out gifts for their parents and parents are able to pick out gifts for their children. One of the most treasured features of the event is family portraits. There were many tears of joy over pictures during the first year of the event. Why? Taking a family to get portraits made can be expensive. For many families, this was their first professional, family photo. After five years, Co-Op families still treasure the portraits the most. Sugar Hill UMC members interact with families throughout the event, taking the time to hear their stories of praises and struggles. “It’s a Wonderful Night” is a night where Sugar Hill UMC demonstrates the unconditional love of our Savior, shares hope, love and happiness. THANK YOU to all of the volunteers who work so hard to make this event so very special to so many!! Thank you Sugar Hill United Methodist Church for helping us serve others. Proud to serve our community with you! The North Gwinnett Co-Op cannot fight hunger alone. We rely on a growing movement of dedicated supporters – including individuals, service organizations, corporations and government agencies. These generous partners share similar values of social responsibilities helping with our goal of ending hunger in our community. As a Mission Partner you will be sponsoring the tutoring program for 30 days by providing a meal to the students attending tutoring. Additionally, your support will help provide funding for food pantry shortages and/or client financial assistance programs. Also, as a Mission Partner your name or company name will be placed on our website and in all of our marketing materials. You will receive a “Partner Spotlight” story on our website for one month and Facebook/Twitter/Instagram advertising postings and highlights. 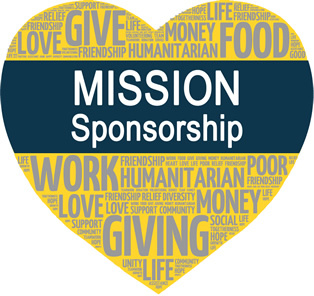 To become a Mission Partner or for additional information, contact Mary Warren at mwarren@ngcoop.org. A hero can be defined as someone who gives of him or herself for the greater good of others. A “Hero for Hope” is there not just once…..but consistently. Heroes for Hope can give monthly or quarterly and can take advantage of any matching gifts their employers offer. Donors can mail checks, make a donation directly from their bank (eliminating any processing fees), or use a credit card. Flexibility to change or suspend your monthly gift at any time. The Co-Op’s Mission is “through support within our community, we bridge the gaps for critical needs of families or individuals and provide services to aid in finding a path to self-sufficiency.” Please consider the opportunity to be an active part of our Mission by being a consistent donor and sincerely changing lives and creating hope within Buford, Sugar Hill and Suwanee. Your donations make a genuine difference! 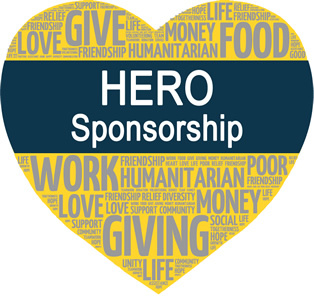 For more information on becoming a Hero for Hope, please contact Mary Warren at mwarren@ngcoop.org. North Gwinnett Co-Op would not be able to operate without the overwhelming support of our many partners.